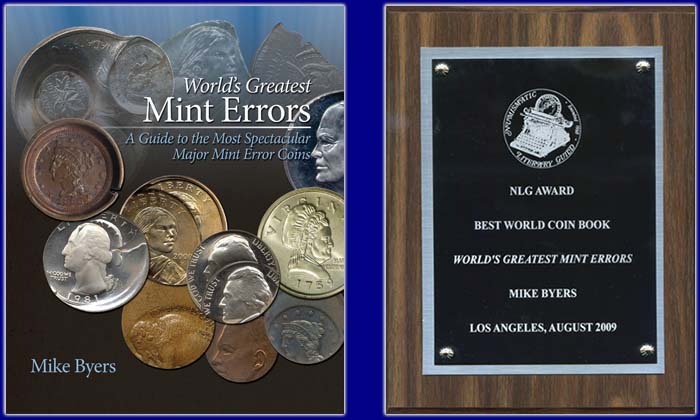 Major mint errors on U.S. gold coins are extremely rare. 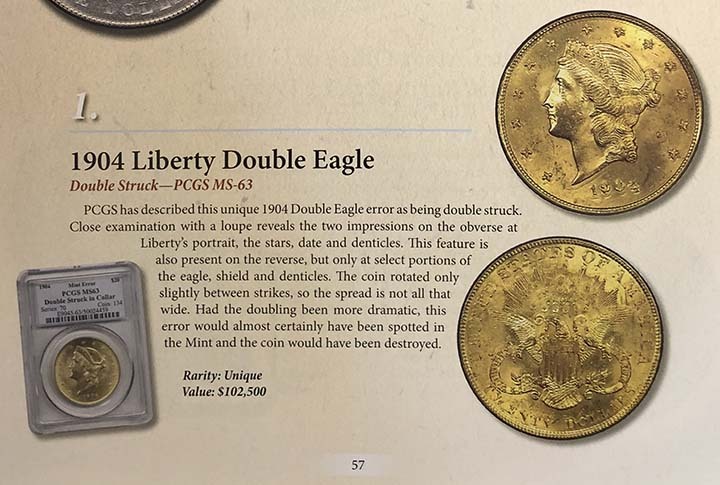 There are only a few known that are double or triple struck. 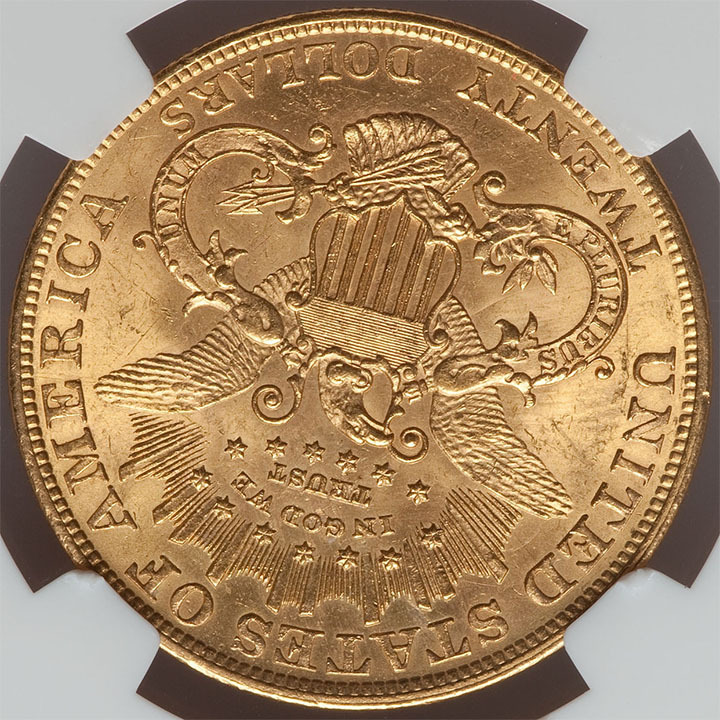 One phenomenal example is this double stuck 1904 $20 rotated 180 degrees in the collar. 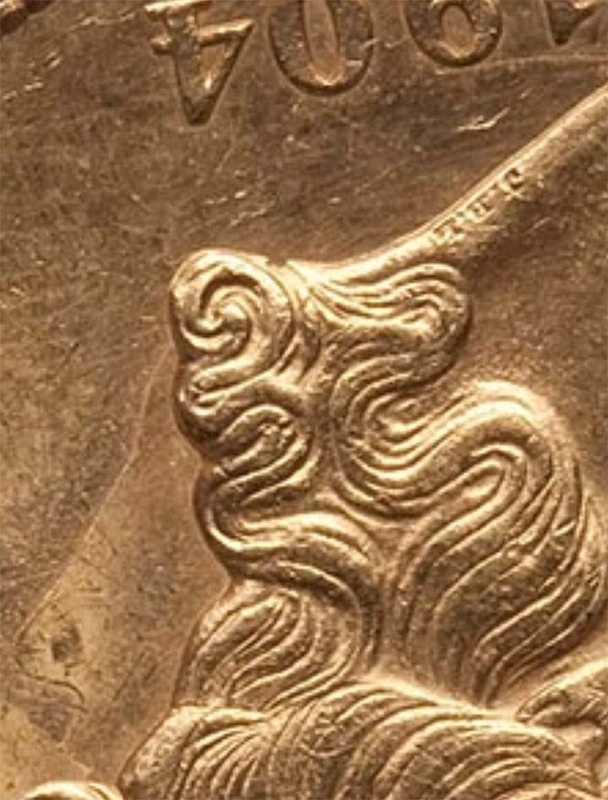 Considerable detail remains from the initial strike and is visible under the portrait on the obverse and the eagle on the reverse. 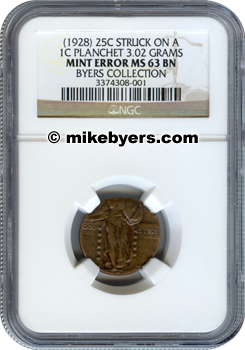 This exciting mint error was in my person collection and has been authenticated and certified by NGC and BYERS COLLECTION is noted on the insert. 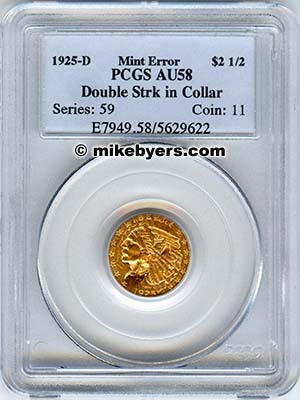 A different double struck 1904 $20 gold piece with slight rotation sold a few years ago for $100,000. 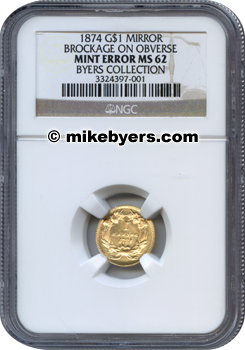 It was authenticated and certified by PCGS MS 63. 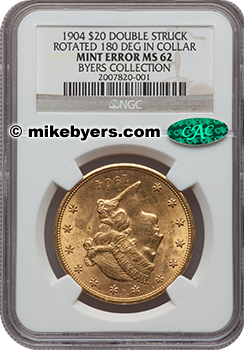 Also recently, a $2 1/2 Indian double struck rotated 180 degrees sold for slightly over $66,000. 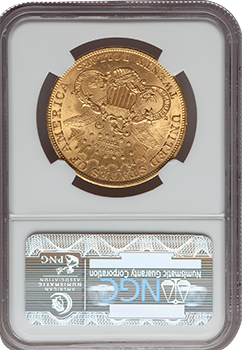 This double struck $20 Liberty combines the high denomination and large size with dramatic eye appeal and it is unique for being rotated 180 degrees. 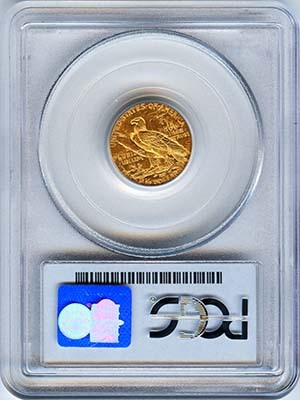 I recently sold a double struck $2 1/2 Indian gold coin that was also rotated 180 degrees and was certified by PCGS. 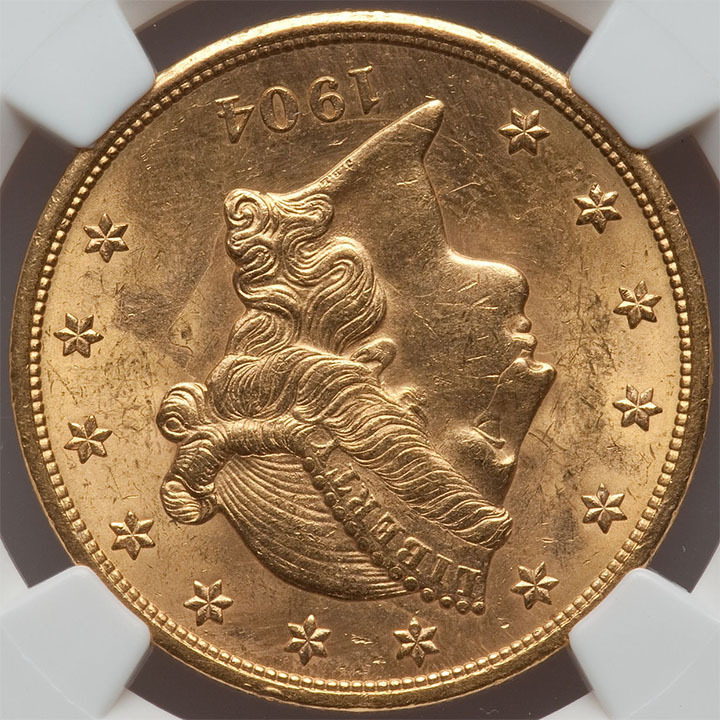 It sold in a Heritage auction for $66,125.